Happy Holidays! At this time of year, it is traditional to express gratitude for our blessings. I want to thank our students, alumni, current and past parents and guardians, home stays, colleagues, and friends for being a part of the Woodside community. We appreciate your interest and support during this our 42nd year of educating inquiring scholars, healthy individuals, and contributing citizens. As you know the small size of our school means that many families who would appreciate our program have not heard of Woodside International School. Therefore, we especially appreciate your enthusiastic reviews posted to one or more of Great Schools, Facebook, Google, Yelp, and Private Schools Review. Help us tell our story to local and international families! We love to hear from our alumni! Keep in touch at alumni@wissf.org. Call to Action: Refer a Student! 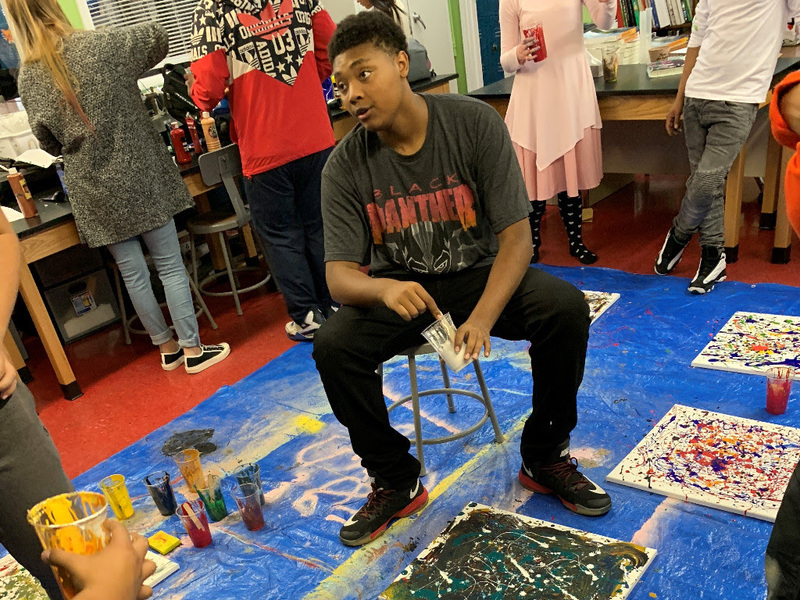 Do you know a Middle School or High School student that would benefit from our individualized approach, small classes, and engaging teachers? We are accepting applications for Spring 2019 and Fall 2019, and would appreciate your referrals. Please contact admissions@wissf.org. We have set our tuition levels for the next school year, with a renewed focus on local families and their desire for a combination of academic challenge, personal attention, and affordability. The tuition for local families in 2019-2020 will be $15,000, which represents a substantial saving while continuing to maintain academic excellence. Learn more at our home page. Our hardworking students from recent graduating classes have been admitted to the following colleges, universities, and professional pursuits. Congratulations to all of our graduates! This fall we have continued with several fun and productive school traditions. Current students volunteered to assist with Student Orientation for our new students. The Fall Potluck and Admissions Open House was an evening of good company, great food, and welcoming atmosphere at the school. 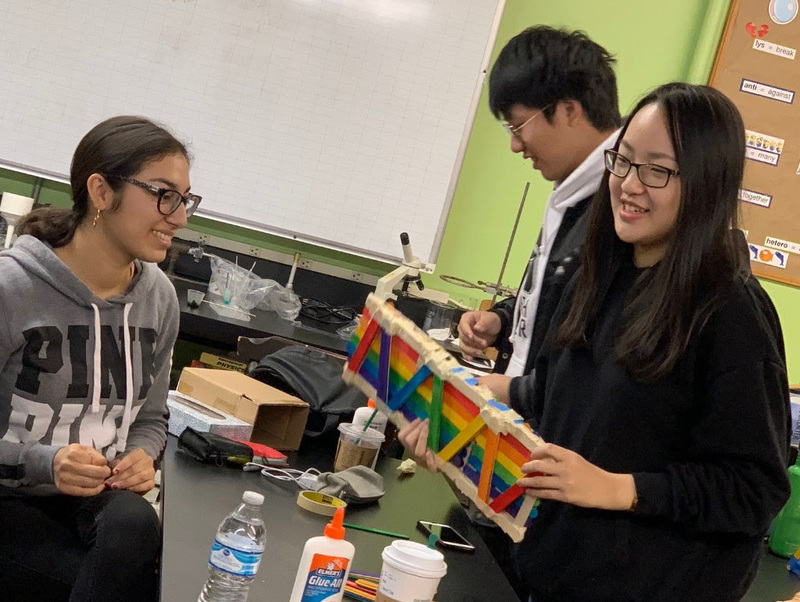 Admissions Tours and Student Shadow Days are scheduled, and we have attended Admissions Fairs and Middle School Visits to introduce our program to local families. Sophomores and Juniors took the PSAT national exam to begin their preparations for applying to college. 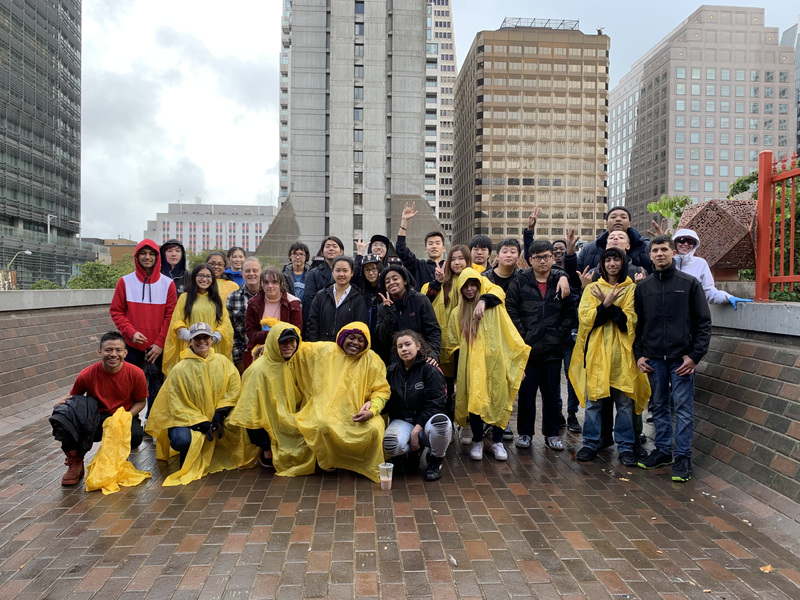 Students enjoyed an All-School Field Trip to Yerba Buena Gardens and the Clockwise Escape Room, where they used problem-solving and team-building skills. The Halloween Party, Costume Contest, and Pumpkin Carving was enhanced by a yummy Bake Sale Fundraiser, to raise money for UNICEF, the United Nations International Children’s Emergency Fund. The Holiday Food Drive is underway, to help those in need through the San Francisco-Marin Food Bank. At the annual All-School Community Service Field Trip to the Chinese Newcomers Center, we prepared bags of groceries for families in need. As is our custom, we wore our “Woodside Squirrel” community service tee shirts. We round out the semester with Winter Games Day, final exams, and a well-deserved Winter Break!